Welcome to 21th century. Yes, you are in the “future” of economic. Who need banks, if we can transfer money Person to Person, without none ask “What purpose?” and taking fees between? 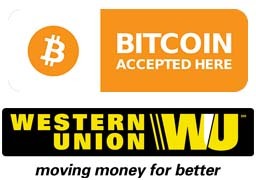 We accept Bitcoin, Bitcoin Cash, and Litecoin Crypto Currecy for major country. Instant payment within minutes, easy, and secure. No middle men involved. Almost zero fees. Bitcoin provide the best anonimity as payment method. They dont require your identity, name, address, or your pet name. Once you involve bitcoin as alternative currency, you will be fall in love. You can trade your bitcoin, to purchase almost anything, from pizza to missle. Now, you can buy Bitcoin using Credit Card, Debit Card, or Cash in Minutes from CoinMama. Another alternative payment for US and other country that not supported by TranferWise Credit Card. Skrill, or former Moneybookers. Is a money transfer service like PayPal. 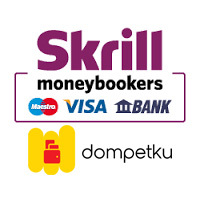 Skrill iT works like PayPal. They need document verification before you can use it. Skrill verification takes longer than PayPal. We use Skrill iT, instead of regular Skrill Account. Which has differences between products. Skrill iT focus as money remmitance which will accept major payment like Credit Card/Debit Card or simply ACH Bank Transfer. Skrill iT partnering with Indosat Ooredoo. One biggest Cellular Network operator in Indonesia, which had Mobile Wallet system. So, your funds will directly credited into our Mobile Wallet within minutes. Offcourse, it only happened if your Skrill account already verified, and your cards are accepted. But, we must inform that Skrill iT is NOT the best payment choice. There was severals cons on Skrill iT service. 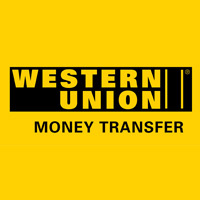 Western Union are a leader in global payment services. From small businesses and global corporations, to families near and far away, to NGOs in the most remote communities on Earth, Western Union helps people and businesses move money – to help grow economies and realize a better world. In 2015, we moved over $150 billion dollars for our consumer and business clients. We continue to innovate, developing new ways to send money through digital, mobile, and retail channels, with an array of convenient pay-out options to meet business and consumer needs. If you have no option above, or you only had “hard cash” to pay your Cigarettes!